5. Safe and fast delivery. 1. Mount your lights on this handy three section wall. 2. 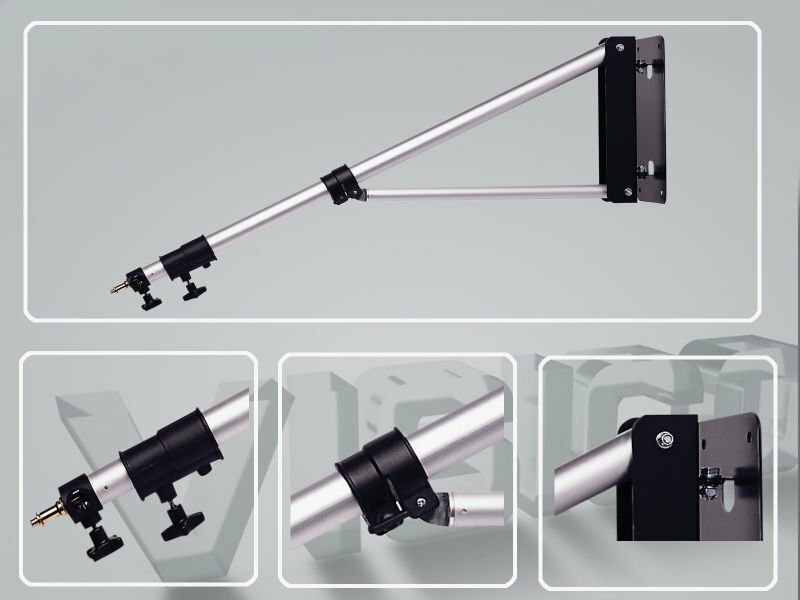 Mounting boom arm rotates up to 160°vertically and 180°horizontally. 3. The build quality shows in the smooth adjustments and strong hold. 4. Attach Securely, Durable, Good Atternative, Good Color Value, Long-Lasting, Powerful, Durable, Easy To Use, Lightweight, Reliable . 5. Aluminum tubular alloy construction with cast aluminum clamping locks - thus providing stability and safety for lighting equipment.